Great idea for a meal on the go & makes meal prepping so much easier! 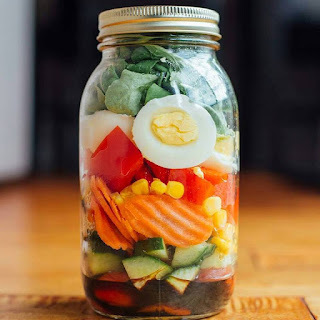 If you take your lunch to work, these are easy to make ahead and keep in the fridge without taking up too much room too! If I have grilled chicken prepped I add that instead of egg to mix it up!